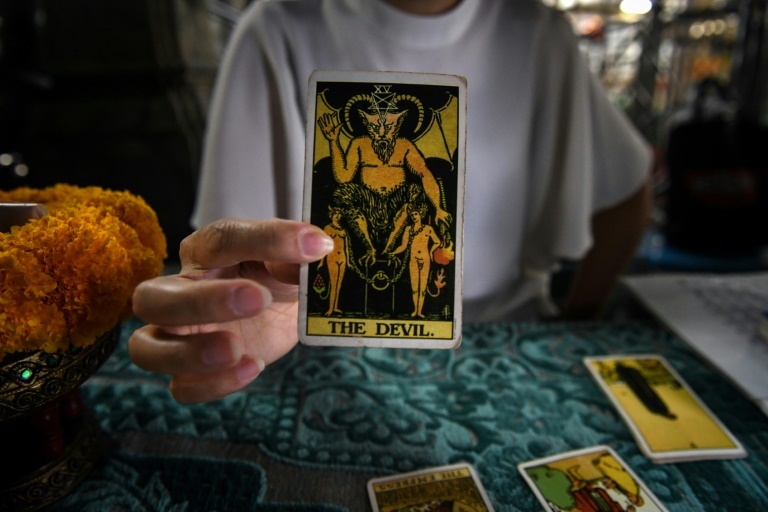 A hand-drawn map of constellations and planetary orbits shows Thailand in the throes of a “gateway” year of change, says astrologer Pinyo Pongcharoen — one of a legion of fortune tellers sought out by politicians in chaotic and unpredictable times. And politics is currently dominating conversations, following a series of dramatic events which have lit up the political landscape ahead of elections set for March 24. The upheaval triggered rumours of a possible counter-coup to oust junta leader Prayut Chan-O-Cha, speculation he denies. Pinyo — who has read the fortune of a former prime minister, though he declined to say who — refused to be drawn into unpicking what it all means, saying only that there will be a showdown between “liberal and conservative” forces. Despite recent rumours of an impending coup — Thai generals have a penchant for coups and have grabbed power 12 times since the end of absolute monarchy in 1932 — Fongsanan remained steadfast.